If you ever have trouble thinking of gift ideas how about a L.S. 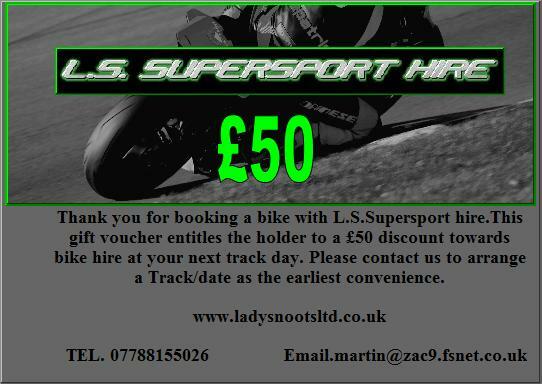 Supersport Gift Voucher, available to the value of �50, �100 and �200. It couldn't be easier, pick which value you require, call us, pay over the phone and we'll post it to you.